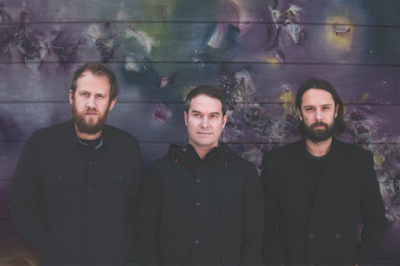 American rock band, Mae, is celebrating a very successful initial few weeks following the release of "Multisensory Aesthetic Experience," and has secured the #35 spot on the Independent Albums chart. The band's first full-length album in ten years has been heralded by outlets such as Billboard, Consequence of Sound, Substream Magazine and more. It is out now via Tooth & Nail Records, and is available to listen to through all streaming services including Spotify, Apple Music, and more: tnn.lnk.to/mae. The vision for this album cycle was born when Mae played at the Forbes 30 Under 30 EMEA Summit in the Tower of David in Jerusalem in 2016. They concluded the evening with the first-ever large-scale live musical performance, synced to virtual reality. As Forbes described it, "Revelers dropped their mobile phones into specially-designed headsets that allowed them to view a brand-new animation meant to represent the creation of the universe while the band played in time." Mae has also done this "LIGHT" performance, as they call it, at the 72nd UN General Assembly and the Future of StoryTelling Festival. Inspired by Synesthesia – the phenomenon in which when one sense is stimulated, it leads to an automatic, involuntary stimulation of a second sense – the band wanted to create art for the whole body, connecting the fields of virtual reality, music, engineering, neuroscience, haptics and animation, making it the first of its kind. In doing so, the band collaborated with artist/animator David Lobser, violinist Tim Fain, and neuroscientist David Eagleman. With a critically acclaimed career spanning over 1600 concerts on 4 continents and 8 studio record selling in excess of 500,000, Mae consistently weaves together expansive cinematic soundscapes for the emerging global culture. Born out of funded academic research on the relationship between color and sound, Mae uses its music as a starting point to extend the concept of harmony to include other sensory languages and place listeners inside of an experience of art for all of your senses. Mae have shared the stage with iconic bands such as Weezer and The Foo Fighters, toured worldwide, and have performed everywhere from the Vans Warped Tour to the United Nations. Mae also made history when they placed 700 people inside of a group virtual reality experience while they closed out the Forbes Under 30 Summit in Jerusalem's Tower of David. Mae's previous album Singularity came in at #40 on the Billboard Top 200 Chart, #12 on the Billboard US Rock Chart, #13 on the Billboard US Alternative Chart, and #40 on the Billboard US Digital Chart. Mae will be hitting the road at the top of 2019 for a West Coast run and two shows in Japan - for a list of tour dates, view below.